As has been repeated, and repeated again, in the UK media over the last few days, David Cameron isn’t in the easiest spot as he attempts to square off a number of circles with EU leaders today and tomorrow. The referendum debate has taken on a life of its own (not so much driven by backbenchers as by media and high-profile interventions by two ministers and a mayor). Cameron’s squeezed position stems from an unusually complicated mix of domestic pressure, an economic crisis running out of control and an EU negotiation cobweb of massive proportions. But, we all know this. The question now is, what can he realistically hope for? As Bruno Waterfield explained on the Telegraph live blog earlier today, Cameron is fighting to insert language in tomorrow’s (or the weekend’s – it might be a long session) conclusions that would commit EU leaders, on paper at least, to “consider and develop concrete and effective mechanisms” to ensure the integrity of the internal market at 27 and that the essential economic interests of non-euro members are fully protected (i.e. for the UK, the City). The thing to remember is that the Treaty changes will not be agreed tomorrow – what this summit is designed to do is to lay the groundwork for a deal (and possible finalised Treaty changes) at the summit of EU leaders that will take place in March. So if Cameron managed to insert this kind of language in a political declaration attached to the summit conclusions, though it may on the surface seem like nothing, it could actually set Cameron up for negotiations to achieve some sort of “emergency brake” over new EU financial regulation – which we have called for. Is it doable? It depends on a number of factors. 1) Treaty changes involving 17 or 27 (or 17+ or 17- ) – Berlin is set on 27, and for Merkel it will be difficult legally to achieve a eurozone-only Treaty, for reasons we’ve discussed before and though several countries have expressed reservations about the Merkozy proposals, they could well be adopted in some form at the end of the day and trasnlated into Treaty changes. As it has been over the last few weeks, our money is on a Treaty at 27. 2) A limited or even more limited Treaty change: The changes that the Germans want require a proper Treaty change (although often described as “limited”) through what’s known as the ‘simplified revision procedure’. As these changes would involve the EU institutions, which as Cameron rightly pointed out are the property of all 27 member states, that would give the UK a veto over the Treaty change. But there’s also a second way to change the Treaties, proposed by Herman Van Rompuy, which would only involve tweaking protocol 12, which is the protocol governing the eurozone. This would still give Cameron the right to veto the changes as they require unanimity in the European Council – but it would be a relatively small change to a protocol (a protocol which doesn’t impact in the UK as it’s not in the euro). 3) Will Cameron have any allies? Several countries are worried about fragmentation of the EU, including the Poles, Romanians, Swedes as well as eurozone ‘ins’ such as the Netherlands, so any moderate measure Cameron takes to counter such a trend could draw some support from these countries. However, many countries are fed up with the whole Treaty business, and see it as unnecessary (merely designed to cater to German domestic concerns) and the quicker they can move on from these talks, the better. 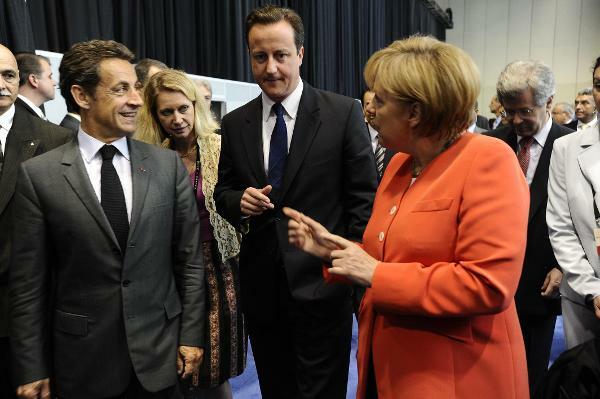 Most EU leaders are unlikely to be too patient with additional demands. However, as one of the EU’s big three and given the importance of financial services to the UK economy and the domestic pressure Cameron is under, few EU leaders are out to get Cameron. He’s still well liked among many. Question is if they feel it’s politically possible to meet any of Cameron’s demands. And to say, as some have, that financial regulation is “not on the agenda” is pretty silly. It is on the agenda. And it wasn’t put there first by the UK, but by France and Germany which are pushing for a Financial Transaction Tax and increased regulation of financial markets. 3) Insert such a protocol at the first possible opportunity (it’s unclear to us whether this can be achieved legally under a limited treaty change – but political will and expendiency is king in EU law). In combination, this would amount to establishing an effective veto over a key UK national industry – and would be a massive achievement. However, what is more likely to happen is some sort of language in the text of the summit conclusions which makes no mention of ‘concrete measures’. It would rather be a general formulation of the importance of the single market at 27. At the March summit, this could possibly be turned into a political declaration, which would be useful but would have no legal force.